Recently, at Cornerstone, we hosted some lectures on the Old Testament history books, which for us, in the Christian Old Testament, would consist of the books Joshua through to Esther. The lectures were mainly introductory, given by a friend, Mike Orsmund, who is lecturer in Old Testament studies and Hermeneutics at Trinity School of Theology in England. I will look to make the audio files available in the near future. Though the time was mainly a simple survey, covering twelve books in 4 one-hour lectures, the sessions had me deeply thinking about some things with regards to the finalisation of the Hebrew Bible, or Old Testament canon. If you don’t know, within the past few centuries, biblical studies has brought with it lots of what is known as higher criticism. This deals with analysing the origins of the text – how did it really come about, when did it really come about, etc. In all, this asks – How did we get the text that we have today? For some who approach higher criticism, there can be an overly critical approach that desires to debunk many of the beliefs of evangelicals – the supernatural events within the text, questioning whether Jesus really said and taught what the Gospels say, giving precedence to other non-canonical writings, etc. This can feel quite threatening to the community of faith that sees the biblical text as a very central part of understanding God and his revelation. Still, even for evangelicals committed to the authoritative and God-breathed nature of Scripture, there are things that I believe we must be willing to recognise about the text. One of those I am beginning to see more and more is that much of the Old Testament that we have in our canon today did not come to us in its more final compiled and organised form until sometime after exile. So, practically, though Genesis records the beginnings of the universe, humanity and the Hebrew people, or Exodus records events from the middle of the second millenia BCE, what we have today is a product of the community of faith in the exilic period within Babylon. Why would someone think such? I think most Christians would be willing to acknowledge there are little statements here and there within the Old Testament that point to later updates and edits. This is no major point. But it is still worth considering. This can be seen from short statements such as ‘until this day’, i.e., in Judg 19:30 and 2 Kgs 17:23. This points to a later writing-development of the text, beyond the time period it records. Or when Moses is recorded as the meekest man within the context of the ‘books of Moses’ (Num 12:3). Of course, it is possible Moses recorded such about himself. But it’s more probable that such was an addition in its final form. We also see cities that were given names that probably would not have been possible to be called by such a name during the time period it refers to, i.e., the city of Dan being identified as Dan, this being well before the patriarch Dan was ever born (Gen 14:14). There could have been other passages to consider, but what we see here are most likely editorial editions and updates by scribes in latter centuries. I believe none of this is detrimental to the purpose and greater intent of the biblical text. It is simply a recognition of editorial changes, all to speak into the situation that the community found itself within during exile. Of course, all of these edits and updates could have come within a much closer time frame to the period the text records, rather than in a much later exilic time. I still believe the final edits (as the text could have gone through multiple refinements) took place in the exile in Babylon. But the next point is much more significant when examining this view. I, personally, am beginning to see how the Old Testament narrative is shaped in such a way, from Genesis right up to the post-exilic books of Ezra-Nehemiah, as to speak into the community of God’s people that found themselves in exile in the foreign land of Babylon. Why would I assert such? What we must remember is that the Hebrew-Jewish people had been conquered and exiled in a more complete sense by the year 587-586 BC with the destruction of the temple and their beloved city of Jerusalem. This would have been devastating in the mind of such a people. For them, Jerusalem was the centre of the world. There, within the temple, was the place where heaven and earth met. Within such a worldview-shattering context, the people would have been filled with questions of why – Why has all this happened? Why has our beloved city and temple been destroyed? Why are we in exile? Has Yahweh been unfaithful? Are his promises not true? And so the Old Testament canon begins to take its more final form, all to speak into that situation of the exiled community. The text was being somewhat reshaped to carry a voice into the Jewish state of affairs. And it all starts back in Genesis. One now realises how Genesis 1-3 is about our first parents being blessed with a land, but their unfaithfulness leads to expulsion from the land. Sound familiar? The account of Noah and his family speaks of a faithful people receiving a restored land and the unfaithful people losing that land through judgment and death. Sound familiar? When you move on to the great inaugural story of faith for the Jewish community – that of Abraham and his descendants Isaac and Jacob – they were the ones who received the first great promise of a land, a land flowing with milk and honey. That was the goal. But the current exiled Hebrew people found that promised unfulfilled, or lost. Joshua reminds them of how they took the promised land; Judges looks at the counter-perspective of why they were having a hard time keeping the land. Great kings were ultimately given in Saul, David and Solomon, but none of their lives had a great ending, which led to the demise of the two split kingdoms of northern Israel and southern Judah, both being ransacked and exiled. Do you see where this is all headed? The text is taking shape, or being re-shaped, to speak like a two-edged sword into the exiled community. It’s given to answer their questions of why. And then we have the Chronicles, which comes along to give a more positive perspective, skipping over much of the negative stories of their kings, to remind them that all is not lost. God has been faithful to his covenant promises. But it is the people who have failed on their end. So much of the Old Testament narrative is about blessing in obedience to the covenant, cursing in disobedience to the covenant. We see inheritance of ‘the land’ in faithfulness to God’s covenant and exile from the land through disobedience. Some of these accounts, especially as seen in the early Genesis narrative, are not so much about ‘pure’ historical record. There is a point, a point the compilers and editors are trying to make with the text. Adam and Eve, Noah and the flood, the tower of Babel, etc, are all a kind of allegorical statement to speak into the community of their day. It is the word of God coming into their context to both challenge and encourage the people of faith in the midst of their questions. It is to stir them of how to properly respond to Yahweh. The promises are not all lost if they will simply heed the words of the torah and repent. They can be restored to their land of promise. I appreciated this definition of the biblical historical narrative – A theological re-telling of history in the form of a narrative with the purpose of speaking into the present. I believe that is what is going on in our Old Testament canon. Now, I need to spend some time clarifying that I believe none of this devalues the makeup of the Old Testament and its God-breathed nature. 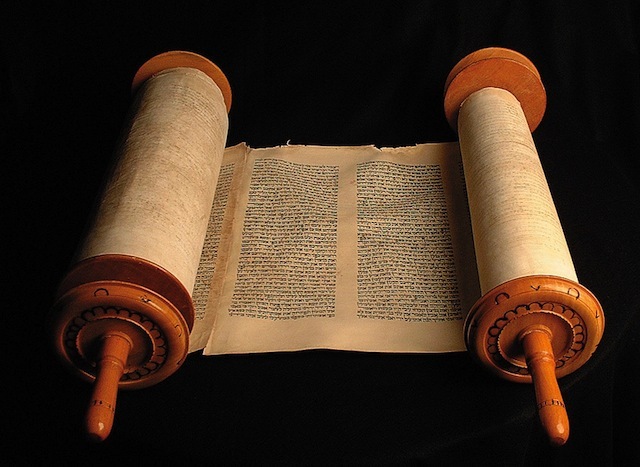 Let me repeat – none of this has to question the important and significant nature of the Hebrew canon of Scripture. Rather, it is to show that there was a point in the final compiling of what we have in our Old Testament canon, a point to make God’s word very, very real. It’s all actually quite purposeful. For some, to ponder such is completely out of bounds, noting such passages as Deut 4:2; 12:32; and Prov 30:6. All of these passages speak against changing the word of the Lord given to the Israelite community, with even severe consequences for doing such. But, I believe we have to recognise that the Old Testament canon did go through a re-shaping during the history of the ancient Hebrew culture. But again, this is not detrimental to the text by any means. And the scribes obviously did not think this was in any way an unfavourable practice. They did not believe they were disobeying previous commands given by Yahweh to the Israelite community, for they would have been quite aware of those teachings. You see, they were convinced they were not adding to God’s word. Rather they were simply making God’s word relevant in the midst of the people in exile. Remember, the word of God is living and active (Heb 4:12). It is not static. He has to be as real today as when the first words were penned, whenever and however that came about. And so, I believe these scribes and final compilers of the Old Testament canon actually did a noble thing in making the word of God in Scripture a reality to the current context in which they found themselves. For me, it’s not unlike translating out of the ancient manuscripts into English or French or Dutch or Telegu or Bulgarian. In doing such, there will be a little bit of reshaping of the text. It always happens when coming from one language to another. And I am pretty certain God is also aware of this. But I am also certain that none of this presents disobedience to the afore mentioned verses, or others that speak of the reality that our God does not change (i.e. Num 23:19; 1 Sam 15:29; Mal 3:6; Jam 1:17; etc). For we never read of any judgment upon these wise and dedicated scribes. Sometimes I think we can put restrictions upon the biblical text that not even God himself applies to it. God has always wanted his word to ‘become flesh’ in the midst of his people. And so, this is why I believe God did not get bent out of shape as the Old Testament canon took shape over centuries of development within the ancient Hebrew context. This is why I also believe that the God-breathed, inspired and authoritative nature of Scripture is not confined to the original autographs, but that this characteristic of the text comes through in our translations that we read from on a daily basis. Again, from a practical-pastoral standpoint, I know that such a presentation above can sound detrimental to the text: The word of God is perfect, the Scriptures are the word of God. So to claim such has ramifications on the biblical text and our perspective of such. To suggest such is to suggest a perfect text has been corrupted. The text is no longer inerrant. But to suggest such, at least as I see it, is to simply impose a more modern view on the text. And I don’t believe God even holds to such a view. It’s not that we just arbitrarily do whatever we want, cutting out passages here, chucking out whole sections there, pasting in whole new portions in their place. Yet, I am secure enough in the providence and goodness of God as to make sure his word has been preserved. Not preserved in a more modern, 100% objective sense (if ever such existed). But preserved from a more fluid, living and active frame of reference. Remember, God never felt the need to judge such people for their editorial actions to reshape the text in its final form. And it’s still piercing like a two-edged sword today (which I can testify happened during those Old Testament history teachings). I know people will still struggle with such a notion. Still, for me, this brings further into a place of contentment when dealing with all the higher criticism presented towards the text, at least that which looks to deny the reality of our Christian faith and heritage. I find a freedom to approach the text, recognising the difficulties and tensions and questions, but also recognsing the providential character of our God to allow the text to have taken shape into the form that we have it today, all that this God-breathed text might teach, reprove, correct and train us in righteousness (2 Tim 3:16). This entry was tagged Bible, higher criticism, Old Testament. Bookmark the permalink. Anyone who suggests that anything which is written down does not bare something of the authors worldview is naive I think. I happens in every area of life and must be especially true when you are recording something that would have been held often in oral tradition. My guess is that one of the problems is that the modern church has often read the OT as though God provided it for us, as our history book. It’s primary function was always to speak to his people of the time, to seek again and again to encourage them from disobedience into relatioship. However I don’t think the issue is exclusively one of the OT, modern readers do them same with the NT. They assume the letters were written to us, instead of being written to an early Jewish-Gentile church in their context. Ofcourse many of the truths, particularly on sin and salvation, are directly transferrable to us but some of the commands need to be understood to be relavent to the culture they were aimed at (e.g. head coverings). I also think that it is worth noting that Jesus quoted numerous times both directly and indirectly from the OT and rarely felt the need to quote it in a different form. He seemd to have confidence in it’s validity, whether ‘accurate’ in our understanding of the word or not. In fact he was willing to declare himself the fulfilment of the law and the prophets. Some good thoughts here. And I think it interesting how Jesus did quote from the OT or refer to the OT, but didn’t even focus on the ‘originals’. At least the NT writers have him quoting from the Greek, which was not the originals. Sometimes we build a doctrine of Scripture, from a noble heart, but from a perspective that God doesn’t even have. The Scripture is God-breathed, and Jesus and the first apostles believed this even as they read, preached from and quoted from the non-originals. I believe there needs to be a rethinking of some of our approach to Scripture – to maintain it’s God-breathed and authoritative nature, but to not put such stringent requirements upon a doctrine of Scripture. 1. Doctrine without relationship with the Spirit brings the worst sort of pride – I found myself becoming more critical of other peoples beliefs, dismissing sermons and preachers because I didn’t agree with a particular part of their exposition and it corroded my own devotion in the scriptures. 2. God always indended some mystery. Some doctrine seems to hold God so tightly to working in a particular course of action that it almost seems to remove his ability to just do what he soverignly chooses. Scripture is designed to show us God and his character but I feel we make it bind him to only working as he has in the past. 3. I am finding that the people I know that have the strongest relationships with God, the most faith to see him at work and the most fruit in evangelism are not the ones that worry the most about theology and doctine. They seek to know their Almighty saviour intimitely and trust the Spirit to open his Word to them. This seems to lead them to a humilty that allows teaching and preaching to do a work in them and a humility for the Spirit to bring correction when required. I do believe God calls some people to defend the truth of scripture. To give themselves to probing the Word and seeking to oppose false teaching and error. Paul clearly commends Timothy and Titus to do both of these things. My question would be whether for some people, myself included, we have allowed an intellectualism and pride to turn a good appreciation for scripture into a burden and distraction. Sailhamer deals a little with the form of the OT in “The Meaning of The Pentateuch.” He, too, sees an exilic/post-exilic point of view that shaped the final form. I think many solid evangelical theologians are beginning to take note of this. I think we would have been much more guarded to confess such in the past. But I really do not believe it has to be something that cuts at the nature of the Scripture as God-breathed and authoritative in our lives. All this has me thinking of finally doing some more in depth posts on our approaches to Scripture. I’m slowly blogging through a thematic survey of the Scripture on my blog. You can search “unity of the Bible” to find what is present. It’s all rough, but I intend, once I’ve finished that part, to return and tie it all together in a series of posts. The authority, integrity, and reliability of the Scriptures can be found in many different ways, I think. The Bible is truly an amazing book. Again, some good thoughts. Yes, I believe pride and intellectualism robs us of what God would want to do in our lives and ultimately through the Scripture. I agree with your third sentiment about those who are used in great ways – there walk with God outweighs having particular doctrinal positions. It is challenging to me as well. Paul that’s interesting that you say about the OT’s primary function as something written for a different people living in a different place and history. Of course, the whole bible is located in a particular point in history, and written to specific people and we do have to be aware of that, but for me, if I think it was primarily written to and for someone else, it leads me to think, well why bother to read it then? I would argue that if we are also God’s people, it DOES record our (spiritual) history as well. I don’t mean we should get lost in the details of who redacted which bit, and whether it can all be ‘proved’ – whatever that means anyway! Just that we can be personally involved with it. I think we also have to be aware that just as a text will express something of the author’s world view etc, we as readers also bring our own presuppositions and ideas to it when we read it. We are also naive to suggest this doesn’t happen! I don’t even think its a bad thing, unless we are trying to hide our own perspective and pretend that ours is the only right, true, ‘objective’ way to read the text. We are naive if we think its simply a case of ‘reading what’s there.’ but if I am aware that I’m seeing things from my own, limited perspective, hopefully I can be open to what your perspective might help me see that I have missed – in that way we can help each other to broaden our understanding of scripture. I think one of the main things we don’t allow for at times is what should be the first/initial approach to the text – to let it be a text from that ancient perspective. I know you know this. But a lot of times we start from the devotional-prophetic context and possibly work ‘backwards’ to a Christocentric and grammatical-historical perspective, or never do even approach either one of those. Of course, as Paul C. rightly points out, many godly people get on with living the text without ever being able to deeply engage with the more ‘scholarly’ aspects. And that is challenging to me. But I think our interpretation of the text for today can be better focused, at least at times, when we understand what it was saying in its ancient context. This is why I am not bothered with developments in science and cosmology, nor in textual higher criticism. It frees me from trying to impose a more modern perspective on the ancient text. This is why I like some of the new perspective points on Pauline teachings. The perspective is not in line with some of the normal evangelical-reformed perspective, but it is looking to better embed the text within its historical narrative. I am really wrestling with this issue for my paper at the moment. Of course, I understand how we need to be careful of imposing modern perspectives on ancient texts – clearly none of the bible writers were alluding to how we should use the internet or drive our cars! And clearly it also helps us understand a lot of the nuances if we understand some of the historical and cultural issues happening at the time. But I think there is a danger in assuming that the ancient meaning is the one, right, true meaning, and if only we could get back to that, we would be ok. I think the Holy Spirit is bigger than that – even though the authors of scripture weren’t aware of writing for a wider, or future audience. Part of letting the text be the text is allowing Spirit and reader together to make meaning from it in a way that engages, challenges, changes the reader. There are many times this happens without the reader being aware of the ancient context of the text, as Paul C. points out. This doesn’t make them ‘lesser’ readings – just different ones. I think we are also mistaken to assume we can easily shed our modern perspective and read as though we were 1st century Jewish believers, or ancient Israelites who had never heard of Jesus. This is where the danger comes – in assuming there is always one, objective meaning of the text which we can access if only we are careful enough with our historical reconstruction and get a good enough understanding of ancient history and culture. I also think Paul’s point about scholarship becoming a distraction is good – and I think that is where historical criticism can lead us if we’re not careful – we get all caught up in who redacted what, and how many people wrote Isaiah, and what the Colossian heresy was – and we lose the power and beauty of trusting that the Spirit is speaking to US, TODAY in these words, as well as the fact that He spoke to a different people in a different time and place through the same words. I guess that summarizes my point really! Love seeing the depth of comment and interaction with your writing on this and other posts. Also really appreciate your commitment to respond and reply thoughtfully and sensitively to contributors. A great forum … long may it continue! But I think there is a danger in assuming that the ancient meaning is the one, right, true meaning, and if only we could get back to that, we would be ok. I used to think if we could ‘only get back to the NT model of church’, we would be doing it correctly. Now, I do believe that there are definite pointers there as to how the church is to be. It is our great starting point in considering what the church should be like. But knowing we are 2000 years removed, and knowing the Spirit and word are living and active, I don’t think it is so much a model that is ‘set in stone’. Again, I say that with the balance of recognising a lot of good things there. But, case in point, is that I don’t believe Paul’s instructions about only 2 or at the most 3 prophets should speak is a hard-line command. If 4 prophetic words are given in the gathering, we are not ‘disobeying’ God. Or all the issues of trajectory theology – head coverings, women’s clothing, tithing, etc. I also believe in doctrinal development, hence why we had councils and development of things like the Trinity, Christ’s nature, and some clarity on other issues. The Scripture is God-breathed and our authoritative starting place. But it does not contain every single issue we would deal with. I think we all recognise that. I say all this as to allow the text to speak into today. I think that God intends for such, even if the first writers were not fully aware of it. And I believe that even the biblical writers were willing to allow such fluidity amongst God’s people as they communicated God’s truth to the people in their day. I think we are also mistaken to assume we can easily shed our modern perspective and read as though we were 1st century Jewish believers, or ancient Israelites who had never heard of Jesus. Very true. This is not 100% possible, I agree. To think such is naive. And I don’t even believe that understanding the text within its ancient context is the stopping point. But it might be the starting point. For example, plenty of people read Matt 24 or Revelation and see things happening in the world and say, ‘That is what Matt 24 and Revelation are talking about.’ But it doesn’t work that way so much. And if we realise that those passages are coming into a first century, Jewish context and what that looks like and what that meant, it changes our interpretation of how those texts ‘speak into’ today. I know you agree. And thankfully today, we do have a little more help, via the sciences of history, archaeology, etc, to better understand the text in its ancient context. Also, if you are not bothered with developments in textual higher criticism, you are going to find it increasingly difficult to communicate with people who have a postmodern perspective on life and literature! I meant that the discussions and details of such are not detrimental to my faith. 🙂 its really funny seeing your own words being quoted back to you! ‘until this day’ – While the 2 Kgs 17:23 may have some value as evidence for a later redaction Judg 19:30 does not. One would have to examine each phrase in context to determine IF there is reason to think it was redacted. out. Since David captured Jerusalem from the Jebusites ca. 1003 b.c. (2 Sam 5:6–10), presumably the Jebusites did not live there in any significant numbers much later than that time. pharaoh—probably Siamun (ca. 978–959 b.c.) destroyed the Canaanites at Gezer and gave the town to Solomon as a dowry (1 Kgs 3:1; 9:16), the reference to Canaanites in Gezer would have come from a period prior to that. In Joshua 6:25, however, about Rahab still being alive “to this day” would seem to indicate a date much earlier. Your se of “until this day” phrase for proof is spotty at best. But your main focus was that the Hebrew-Jewish people were asking these “Why” questions: Why has all this happened? Why has our beloved city and temple been destroyed? Why are we in exile? Has Yahweh been unfaithful? Are his promises not true? So it must be asked, how does redacting 2 Kgs 17:23 & Judg 19:30 with the phrase “until this day” answer those questions? If there is no reasonable or cogent answer to this question then the entire premise for the redaction of the OT fails. So the Bible seems to be speaking about of two different locations. But again your main focus was that the Hebrew-Jewish people were asking these “Why’ questions: Why has all this happened? Why has our beloved city and temple been destroyed? Why are we in exile? Has Yahweh been unfaithful? Are his promises not true? So it must be asked, how does redacting Gen 4:14 with the name Dan answer those questions? If there is no reasonable or cogent answer to this question then the entire premise for the redaction of the OT fails. Moses is recorded as the meekest man – If Moses was inspired by God to write this why would one think this is not simply a self appraisal and not an appraisal from God? And why would it be surprising that that God would have chosen only the most humble man to bring His chosen people out of Egypt and through the wilderness? On several occasions in the gospel of John, we read a description about a particular disciple “whom Jesus loved.” At the end of the book, the writer tells his readers that he is that disciple (John 21:20-25). When Paul was brought before the Sanhedrin to defend himself, he opened his speech with the statement, “Men and brethren, I have lived in all good conscience before God until this day” (Acts 23:1, c.f. Mark 13:11). Because Ananias, the high priest, considered this statement to be out of line, he commanded one of the soldiers who stood by Paul to strike him on the mouth. So just because the Bible records what we think are out of place self appraisals that does not mean that they were nor does it mean that they were added later. Not to belabor the point but Scott L’s main focus was that the Hebrew-Jewish people were asking these “Why” questions: Why has all this happened? Why has our beloved city and temple been destroyed? Why are wen in exile? Has Yahweh been unfaithful? Are his promises not true? So it must be asked, how does redacting Num 1:1-2 with saying that Moses was the meekest man answer those questions? If there is no reasonable or cogent answer to this question then the Scott L’s entire premise for the redaction of the OT fails. Re the questions Scott L says the Hebrew – Jewish people were asking: How does he know that they were asking these questions? He assumes that they were, he offers no proof. It seems to be just a simple unfounded assertion that one is asked to accept at face value. Scott L’s premise brings other questions to mind: Why would God need to have His word redacted for it to be able to speak to his people? Would not a timeless God know what his people would need to hear before the creation of the universe? Would God not be able to get it right the first time? Anyone can make an assertion. But it is much more difficult to show that one’s assertion is, if not true, at least reasonable. I sense your comment here at my blog was somewhat spiteful. I’m not sure why you were referring to me in the third person? I felt it best to stop the interaction on this article on Theologica because it seemed it was going nowhere after many comments back and forth. We have a lot in common with our approach to Scripture – we believe it is God-breathed and authoritative in the life of the body of Christ. But I am willing to recognise updates and even possible reshaping in the OT text, but all of this would not be detrimental to the reality of the God-breathed and authoritative nature of Scripture. I hope we can move on in grace. Spiteful? No. I just see your premise as unreasonable. I’ve listed the reasons why. You simply refuse to address them – which is why theconversation was going nowhere on theologica . You say that the reason for these redactions is because they answered questions that the Hebrews were asking. Yet when one looks at the redactions that you cite one is left wondering how those could have possibly addressed those questions. I refer to you in the 3rd person because this is an edited version from the on I posted on theologica. I believe you when you say that you beliebve that the Scripture areGod-breathed and authoritative. but that does not give one carte blanche to put forth unfounded assertions about it. nor to ignore objections when they are presented. I think that a pastor, leader and teacher has more of an obligation than to simply put forth a teaching and expect people to simply accept it at face value. I also posted this at Theologica. I don’t know what to say to this. I am personally offended to be honest because I feel you have now moved into taking a personal vendetta towards me. As if my own article on Theologica, then my own personal blog, and now writing a whole response to disprove me on Theologica. I sense something is wrong here. But I tend to be too benevolent at times. The problem with typed media, at least as I have learned, is that there are a ton of assumptions that come about without knowing a person’s story, background, why something has posted articles, etc. Now that does lay a bit of responsibility on the person posting, and so I am learning with that. But let me explain how some things came about (which I did at the beginning of my post). Almost a month ago now, I sat through 4 teaching sessions, each an hour long, on the historical books of the OT. This was done by a colleague and friend (though not a very close friend), who is also a lecturer in OT Studies and Hermeneutics at a theological college in the UK, the college where I actually used to teach OT Studies. We had been discussing the in’s and out’s of many theological approaches for the whole weekend he was with me/us. We were also sharing about the development of our beliefs, changes in our approaches, etc, with the Scripture. Within his teaching sessions, the way he approached some things really got me thinking about the OT. I know there are plenty of scholars, even sound evangelical scholars, that would recognise certain things like updates and reshaping in the OT, even in exilic/post-exilic times, all to make the text relevant for the people of God in those days. I recognised that this was not just a liberal, watering-down position, but that many evangelical scholars were willing to recognise such (some more than others). Walter Brueggemann is one of the biggest proponents, John Collins (though less than Brueggemann), and some others. I am also currently reading Walter Kaiser, who is not so much for it (though he recognises some updates) So I have wondered about this editing/reshaping position – Is it even true or possible? As I listened to these lectures and began to think of what was happening in the historical books, as well as how it connected to the texts before and after in our Christian OT canon, for me, it was like a light came on. All of a sudden the narrative story seemed to speak to an exilic/post-exilic Hebrew-Jewish point of view. I hadn’t studied so much of this, but it all of sudden seemed to fit and seemed plausible. So much of it fit like a puzzle pieces together. And I bounced a couple of things off my friend, of which he also was willing to recognise the plausibility of such. So I decided to blog an article, first on my personal blog, but then re-posted here, which shared my thoughts on this position. As I admitted, by no means was it of the greatest scholarly work, as I am only now reading more on this perspective. But the position now seemed plausible, and to deny any such updates I think would be dishonest. But my point was also to say that, if the OT text was edited and reshaped at later dates, this should not be seen as detrimental to our faith and our approach to Scripture, as some would propose (quoting some of the OT verses themselves). Obviously updates are there, even if they came before exilic/post-exilic times, but it obviously was not a breaking of God’s command to do such (not to mention the whole reality that the Septuagint became the major Scripture text for Jews in the intertestamental period, and its translations of some Hebrew verses are quite different than the ‘original’ – but that is another point to approach at another time). I wrote the article following my musings from that weekend, those teaching sessions, and pondering some of the things that is prevalent in OT scholarly approaches. I guess I failed to underline my major premise, which again was – if such did happen (edits, and even reshaping) I do not believe this should be seen as detrimental to our faith nor the reality of the nature of Scripture as God’s revelation. I suppose God was not so bothered by such (but that is just my own pondering of God’s perspective on such a possibility of edits and reshaping). I am not sure what to do knowing you are following all my posts, all my comments, checking up on the in’s and out’s of my life. But such is the nature of the world wide web. And I have nothing to hide. I put no eternal stake in the possibility of the reshaping of the text of the OT, and I would definitely teach and show our people in our local church how this is not detrimental to our faith or Scripture. That is what happened in the teaching sessions here. But I guess I am not required to be accountable to you. I have a solid group of people here and within our worldwide church context of which I am very accountable. We are accountable to those whom God has given us, and I have submitted my life and shepherding and teaching to these men and women. But again, I am not so sure I need to justify my accountability to you. I stopped posting your comments here, and now on my blog, because we were getting nowhere. Nowhere! You were not satisfied just to show me how wrong I was. You had to keep coming back, keep coming back, weeks and weeks later. And not only here, but search out my personal blog and start it up there as well. I don’t think you are an internet troll in the full sense, but somehow it feels you are the heresy hunter trying to find those who disagree, prove they are wrong, and keep proving and proving and proving. And then keep proving and proving and proving. And then keep commenting and commenting and commenting. And so one we have gone. I tried to share that I did not think our conversation was going anywhere. It only seemed like fruitless arguing. I sensed I need to let it go because here in this post I believe we find an example of where it has come to – a seemingly personal vendetta out to prove me wrong. Not a desire to prove the truth of God, but it has now moved into a personal vendetta to prove ME wrong. This, I believe, is un-Christlike. I share these final thoughts in this comment and hopefully we can move on. We have a lot in common as brothers in Christ, as well as our desire to uphold Scripture as God-breathed, authoritative and the place where we teach and build the body of Christ. We both have different approaches, maybe mine is not exactly as conservative as yours, nor is it as perfectly developed as yours. I hope you can respect that and we can move on. If not, well, I can only let you continue to do as you need to do. May Christ get the glory. Over the past couple of days, I have been thinking about some things related to my original post and our interaction in various places across the web. So I thought I would share some things that might be helpful in the dialogue. You have pointed out some good thoughts and concerns in our interaction. It was easy to point out holes in my article/argument because I really did not post a very strong case, though maybe at first I thought I was listing some things worth considering. I realised that, following that weekend of teaching on the OT, the post became some musings that were not as well-ordered and well-stated as they could have been. I could have approached the topic in a much better way, no doubt. If I could re-write the article, which I might do (if I have the time), I would probably approach it this way below. Of course, I believe you will still disagree with some of my thoughts, but maybe you could respect the approach a little better. 1) I would have started off in the same manner, sharing about the teaching sessions over that weekend and the discussions to lead into these points below. Again, I believe the background to the story shows why I was pondering these things and wrote an article. 2) We can recognise there have been edits/updates in the text (pointing out the ones I did in my article). I think it is hard to deny any edits, updates or additions. 3) We are not exactly sure when these edits took place, but it is possible they took place by scribes at post-David and post-Solomon times. Some have even suggested edits could have taken place in exilic or post-exilic times. In all, I do believe these edits/updates should not be seen as detrimental to our faith and to the nature of God’s revelation in Scripture. 4) Also, some have suggested some reshaping (so a little more than just updates and edits) of the text by scribes during the exilic and/or post-exilic times. As I listened to these lectures and considered what was being discussed, also considering the narrative of Genesis through the Kingship books, all of a sudden, a lot of the narrative seemed to speak directly into the situation of the exilic and post-exilic community. Of course, as we do ourselves today when things are difficult, they would have been asking questions as to why certain things had happened – why was the temple destroyed, why are they not in the land God promised them, etc? And so, some have suggested further updates and reshaping to see the narrative history of the Hebrews speak into that current exilic and post-exilic climate. Many have also pointed to comparisons between some of the Babylonian myths (i.e. Enuma Elish creation myth, Epic of Gilgamesh, etc) and the early narrative accounts of the Bible, possibly showing that the Hebrew-Jewish scribes took the already known and existing myths of the current culture where they found themselves in exile and reshaped them to teach about Yahweh and the truth of the Hebrew God. 5) I had personally wondered about all of this, thought it possibly dubious. Such a notion seems to be against God’s own commands in places like Deuteronomy, and later in Proverbs. But as I sat through these lectures, considered the little bit of what I knew in scholarly work concerning such assertions, I began to consider that this might not be as dubious as first thought. There were possible connections to be seen, as shown in point 4 above. 6) In all, my point would to be to encourage Christians, especially evangelicals who can get a bit defensive towards pondering such a possibility, that, if such edits or updates or reshaping did take place at certain points, this doesn’t have to be seen as detrimental to our faith and the nature of Scripture. We tend to think this must be so if such and such happened. But as we consider that edits actually are in the text (and this wasn’t disobedience to passages such as Deut 4:2; 12:32; and Prov 30:6), then it is possible to consider a reshaping of the text that God’s word might become real to the current community and that such does not need to be seen as sinful, disobedient, dubious or detrimental. We can consider such within the context of knowing that this is God’s revelation, ultimately culminating in Jesus Christ. A specific position does not always have to lead down the slippery slope of liberalism, as is many times claimed by evangelicals. Rather I believe my colleague, who is also an evangelical theology professor and pastor, gave a good definition for the biblical historical narrative – A theological re-telling of history in the form of a narrative with the purpose of speaking into the present. I think this is not out of bounds in understanding how the OT canon came to us today. I am aware that you would still not agree with some of my statements and points above. I understand that, and even appreciate it. You give some good challenges to some of the possible editorial statements (though I still think we have to admit there were edits and additions at points). And you give good challenges to the idea of reshaping of the text in the exilic/post-exilic times. In the end, I don’t think we will ever be able to give 100% empirical evidence for such. But, following that weekend, I did think 1) it is not out of the question and 2) it should not be seen as detrimental to our faith and Scripture. I by no means stake my life on this possibility. I was simply musing with some thoughts in a blog article, but just did not do it as well as I should. I hope we can move forward in grace together knowing that we have a lot in common with regards to our understanding of Scripture. I recognise we do not agree on some things. But we are very much in line with much.